Ready to go to GEAH! 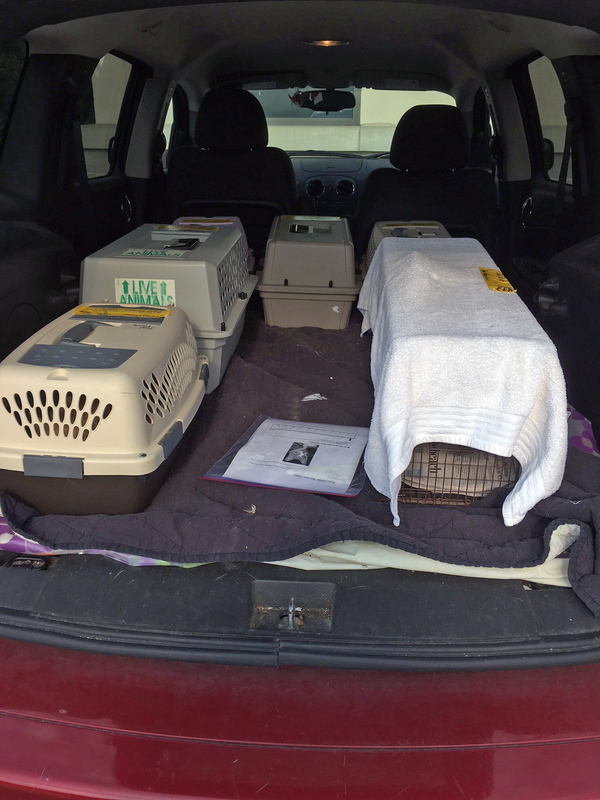 On Thursday, August 10th, we sent 5 friendlies and one feral to GEAH. Debbie transported in and picked up. We had 5 females and one male. This brings our total to 55 for August, 514 for the year and 9,959 since we began. We are just 41 cats shy of our 10,000th cat!!! We will be taking cats this Thursday to PAWS - the following week will probably bring us to #10,000! This Thursday is also Black Cat Awareness Day! We spent the first half of "kitten season" wondering where all the black kittens were - our mistake - they have arrived by the dozens in the second half! Please take a look at all the black cats we have for adoption and please look at our adoption partners' available kitties! This Saturday is "Clear The Shelters" Day. While we do not have a shelter building and will not be part of the "CTS" Day, we will be at Kriser's in Glen Ellyn - come see our cats! 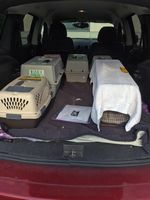 We are hoping very hard to have significant adoptions that day and hope that area shelters like Naperville Area Humane Society and DuPage County Animal Control have great results that day which would allow transfer of more cats into their adoption areas. 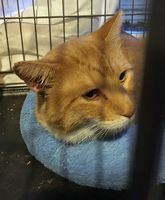 He came to us in May with a severely injured leg and ear issue and he fell over - a LOT! After a month with me he still fell over but his leg was completely healed. His eardrum seemed to be bulging a bit but was sent home with ear meds. Two months later, not as tipsy but something bulging out of that ear. Back he comes. Very grumpy to be back, too - but I promised him no cone this time :). Not sure what it is, hoping its a polyp and the vet was able to twist it out entirely. Sent off for biopsy, it is just a polyp. 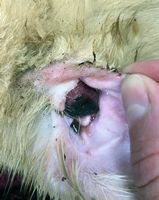 Four days later, ear still draining, decided to risk an ear med approved for dogs that covers a whole gamut of ear issues and two days later no draining! His ear had been an issue for months and now may be resolved! Polyps can come back but we're crossing our fingers that he is finally fixed! He's handsome, all muscle and purrs all the time. Thank you to everyone who donates to support cats like Maynard, you make all the difference in the world!